You are here: Home » Prophecies » Breakthrough and fruitfulness are beginning to burst forth in the body of Christ. Breakthrough and fruitfulness are beginning to burst forth in the body of Christ. I had a dream recently where the Lord showed me three things. I saw the name “Jeremiah,” which I knew was representing the prophet Jeremiah. I then saw an almond branch and it was and followed soon after was a HUGE juicy, sweet, ripe peach. As I was waking the Lord began to speak to me. I see the branch of an almond tree,” I replied. The Lord began speaking to me that this is the season of harvest and fruitfulness, that He is the Lord of the harvest and the breakthrough and fruitfulness are beginning to burst forth in the body of Christ. Those dry, dead places are supernaturally beginning to blossom. The people of God are beginning to taste their breakthrough, the fruitfulness of the Word that the Lord released into their lives, and He has been watching over it to perform it. The Lord was highlighting to Jeremiah to ‘see with the eyes of the spirit’, to see the heavenly perspective. To SEE as HE sees! Instantly, the Lord took me back to the dream of the PEACH and I saw many were beginning to eat of their peaches. Fruitfulness, blessing, joy, peace, thankfulness, harvest and as they began to eat they were then surprised by the “hard stone” in the middle. I saw many looking at this “hard thing” in the middle of their harvest, their breakthrough, their blessing, and they became discouraged by what was in the middle of their ‘peach’ and ‘breakthrough’. The sense surrounded me then that they don’t perceive this “hard stone” to be what it REALLY is. They don’t perceive it as a SEED! They are perceiving it to be something “in the way of part of their harvest and fruitfulness and breakthrough”. God is calling His people up higher to have EYES TO SEE! He is shifting perspective. Many of you are standing in the middle of your harvest, many of you are standing in the middle of the Word of the Lord beginning to blossom, the almond branches blossoming and the peaches beginning to be seen, yet as you are eating, biting into the peaches, you are finding yet “another hard thing”, “another challenge”, something else that you perceive is in the way of your breakthrough and being able to eat ALL He is giving you. The truth is, the hardship, the challenge, the hard stone you are wrestling with in the middle of your breakthrough, is the very SEED that the Lord wants you to know is the seed for the next level of breakthrough, increase, blessing and fruitfulness. The challenge you are facing in the middle of the blessings and harvest isn’t taking away from your breakthrough. It isn’t taking away from your blessing. It isn’t taking away from your fruitfulness, it is actually the SEED for your next level of breakthrough, increase, blessing, fruitfulness and abundance. He isn’t just setting you up for a “one time” breakthrough, He is setting you up to soar, to fly, and to live in a realm of momentum of breakthrough, fruitfulness and harvest. What you are walking through is positioning you with greater seed for greater increase, harvest, fruitfulness and blessing. Keep sowing your faith by agreeing with what He is saying!! He is taking you deeper in intimacy, to SEE AS HE SEES! How are you perceiving the challenge you are facing? With eyes that SEES the natural or with eyes of the Spirit that SEES THE SEEDS? 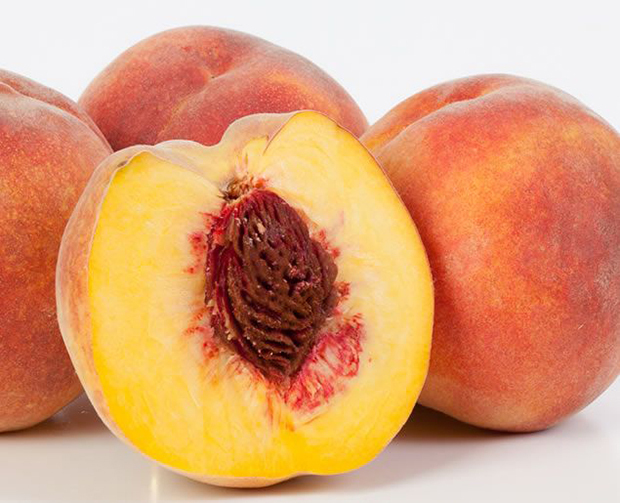 Peaches, Peaches, Peaches are exploding EVERYWHERE! The Lord is decreeing a season of REJUVENATION is upon you! Dear Lana & James: This is a most beautiful picture of what God shows us in Revelation 7. In verse 4 we find the 144,000 being sealed before the earth is hurt. Many believe these are Jews and they are, but they are the true Jews of New Jerusalem. God asks a question: Shall I put you in paradise and bring My children to your gates? Will you keep the promised Land and the children unspoiled? The only one He can trust is the true Bride, the faithful Wife who is expectant: ready to birth God’s vision & His SEED? The Bride has fallen into the ground, dying in order to bring forth much fruit. In verse 9 we find a multitude no man can number. These are the children of the Bride. This is much like Moses delivering the Children of Israel. He murmured about conceiving & suckling this unruly mob. That was his calling: being a very Blessed Mother of His seed, delivering them from the world and leading them to the Promised Land. It is such a perfect picture of Lana’s vision. Thank you, Lana, for being so faithful. God promises a double portion: one for the pregnant Bride and one for her children. Keep up the watching & waiting & very fruitful labor. God bless you. Please feel free to write me – both of you. I’ve been focused on the word fruit for the last few days too! God gave me psalm 107 as a blueprint for my life and the goal of what He is bringing about is verse 37….to sow fields and plant vinyards that they may yeild a FRUITFUL harvest! Im crying out for His word to manifest that I will be released to go forth into the harvest! A thought on this… Daniel set his heart to the Lord when he recognized that the prophecy Jeremiah had given for the return of His people after 70 years was nearly up. God is calling us to do the same thing right now! Thank you Lana for this beautiful word in reminding us to see as he sees.